Or contact us for a free rate quote. The ALTA Homeowner's Policy of Title Insurance and ALTA Expanded Coverage Residential Loan Policy are available f or qualifying improved one-to-four family residences at the applicable rate plus an additional 20% of the regular rate. Simultaneous Issue of Owner's, Leasehold and Loan Policies: In all loan transactions, one or more Loan policies may be issued simultaneously with an Owner's policy covering identical property for a single premium, plus a Simultaneous Issue Premium charge of $26. 00 for each Loan Policy issued. All title insurance rates apply to this category. 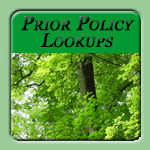 When policies are issued insuring both a first deed of trust and junior deeds of trust simultaneously with an Owner's Policy, the rate is determined by multi plying the applicable Rate by the higher of the amount of coverage under the Owner's Policy, or the total of the coverage amounts under the Loan Policies, plus a Simultaneous Issue Premium of $25.00for each Loan Policy issued. The effective dates of the policies do not have to be the same date, such policies must have been able to be issued on the same day. When a simultaneous issuance includes an ALTA Homeowner's Policy and/or ALTA Expanded Loan Policy, the premium charge will be the higher of the two rate calculations. Reissue: When a policy has been issued on identical Land within fifteen (15) years, the rate shall be 50% of the Regular Rate up to the amount of the previous policy and Regular Rates shall apply to amounts in excess of the prior policy amount. The previous policy or HUD-1 must be provided to the Insurer to receive this Reissue Rate. When a policy has been issued to a Subdivider/Developer/Builder within fifteen (15) years, the rate shall be 50% of the Regular Rate up to the sales price of the individual lot, unit, or tract subdivided from the land originally insured. The previous policy or HUD-1 must be provided to the insurer to receive this Reissue Rate. Builders Revolving Lines of Credit Deed of Trust: A premium shall be charged once the aggregate coverage amount of each separate parcel or unit insured exceeds the amount of insurance shown on the policy. (1) By operation of law. (2) By lease for a term of years. (3) By or pursuant to the provisions of a will. (6) If no consideration in property or money is due or paid by the transferee to the transferor. (7) By merger, conversion, or consolidation. (8) By an instrument securing indebtedness. In purchase transactions, N.C.G.S. Section 105-228.30 imposes a statewide tax on deed transfers and the tax rate is one dollar ($1.00) on each five hundred dollars ($500.00) or fractional part thereof of the consideration or value of the interest conveyed. The transferor must pay the tax to the register of deeds of the county in which the real estate is located before recording the instrument of conveyance. In addition, at least seven counties, including: Dare, Camden, Chowan, Currituck, Pasquotank, Perquimans, and Washington, are authorized to collect an additional $1 per $100 as a land transfer tax on certain transactions. Those tax authorities should be contacted for specifics.